BDO Private Bank Inc., a wholly owned subsidiary of BDO Unibank, remains unbeatable as the country’s best private bank, following awards from leading financial publications Alpha Southeast Asia and Finance Asia. This is the 11th consecutive year that BDO Private Bank emerged as winner at both Alpha Southeast Asia’s Best Financial Institution Awards in Southeast Asia and Finance Asia’s Country Awards for Achievement. 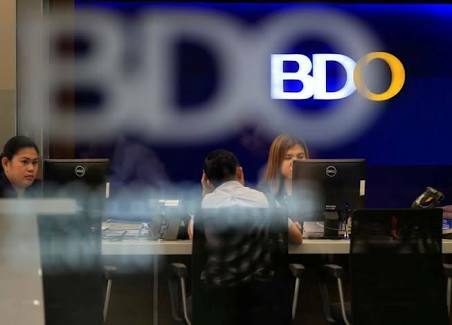 “In a country where the biggest exports are its own people consisting of not only domestic workers but also lawyers, engineers, doctors, bankers, and innovative entrepreneurs, BDO Private Bank has carved out a niche to service an emerging segment of wealthy individuals,” Alpha Southeast Asia said in a statement. The institutional investment magazine also lauded the bank’s flexible investment strategy for its clients, allowing them to maximize their returns. “The fact that the bank’s balance sheet performance has improved during the awards period while global private banks had to deal with ways to overcome crippling cutbacks combined with an all-time-low confidence level in global private banks among high net worth individuals is perhaps the greatest proof why this business model inarguably works best, winning this accolade for the 11th consecutive year,” Alpha Southeast Asia added. The awards period covered deals and transaction volumes from June 2017 to May 2018. BDO Private Bank is the only domestic private bank in the Philippines providing expert and professional wealth management services to the country's high net worth and modern affluent markets using the “open architecture” approach. Despite challenges posed by larger foreign private banks, changes in regulations, technology and commoditization of investment products, BDO Private Bank manages to keep its market leadership through a unique relationship with clients, offering them customized solutions for their specific needs and issues.